These cigars are aged longer in order to smooth the flavor and is gentle on the palate. 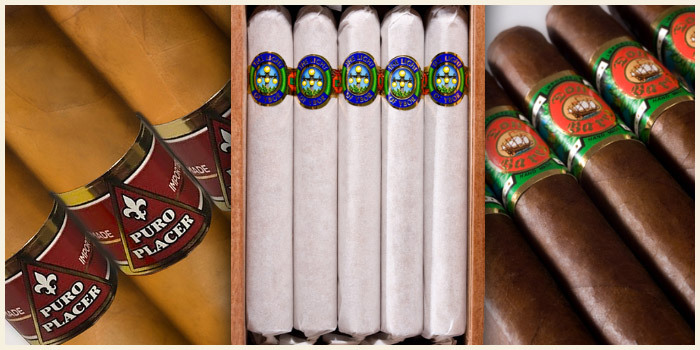 Consisting of Dominican and Nicaraguan long-fillers, Nicaraguan binders and Ecuador/Connecticut wrappers –the blend is both rich and mild. The Light of Ybor offers palate pleasing flavor and is a perennial favorite at King Corona. Mild and pleasure to use. One of my favorite go to cigar for unwinding after a busy day. I have been saying for years that the Light of Ybor is the best Under $10 cogar in America. My latest order just arrived and I happily reiterate my claim. Damn, I love this smoke. I do not smoke a lot of cigars, but I order a box every year for my vacation in July. They never disappoint. Love these cigars. First tried them in the early 2000's and been a huge fan ever since. Smooth smoke!! After be introduced to these sticks by a good friend who lived in Tampa, I have come to look forward to his bringing back a few each year. finaly I ordered direct and couldn't be happier. Smooth smoke with a wonderful texture that makes one wish they could burn one all day long. Great wrap providing a long ash and fine burn. Absolutely have become my favorites. While on the lighter side, this cigar is no lightweight. Suitable for a first timer and is sophisticated enough for an afficcionado. This is my go-to cigar. Great cigar..confusing description of cigars. Others list how many cigars in box these didnt. Only ten instead of twenty or twenty five? Let down.